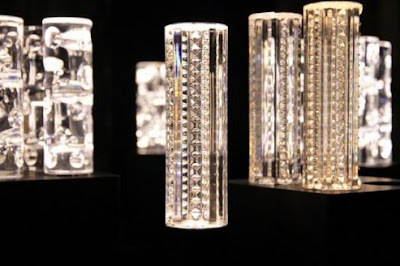 Baccarat, an French crystal company has recently team up with a Parisian lighting artist Yann Kersalé for the new lighting product – Jallum lamp. 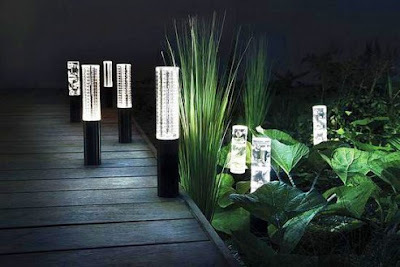 Jallum lamp is basically LED lamp that suit both indoors and outdoors decoration. Jallum lamp is designed in a glow stick shape, decorated with cut crystal, aluminum and LEDs. Full recharging will give you 8 hours of glowing Jallum lamp. Expect Jallum lamp to be available by September this year. There are four cylinders arranged on a charger cradle and can be placed individually or in groups to light up your space. The cylinders have an upper cut crystal satin on top and an anodized aluminum bottom.